AF Payments Inc. announced that it is expanding for the first time to toll ways, with the Cavite Expressway (CAVITEX) starting its limited public trial on Monday, August 8. All types of beep™ tap-and-go cards, including PayMaya beep™ cards will be accepted as payment at CAVITEX for the toll fees of Class 1 vehicles. The fee is P24 if exiting in Parañaque, and P64 if in Kawit. beep™ cards can be purchased or reloaded at the Parañaque Customer Service Center during the public trial phase. The CAVITEX is a 14-km expressway along the coast of Bacoor Bay, south of Roxas Boulevard. This road project aimed to strengthen the commercial link between Metro Manila and the nearby provinces of Cavite, Laguna, and Batangas, as well as ease traffic in major thoroughfares in the south. 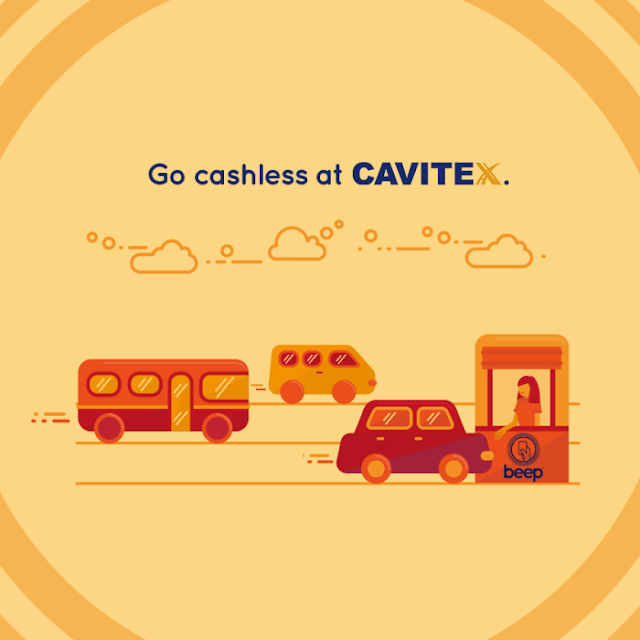 “Extending the use of beep™ cards as a payment option at CAVITEX represents another step towards making the beep™ card an all-in-one travel card for commuters and even private vehicle owners. We hope that the low cost of the beep™ card (P20) and the wide network of loading options being developed will appeal to drivers who pass along CAVITEX and are interested in passing the toll gates more quickly” said Peter Maher, CEO and President of AF Payments Inc.
“This partnership is a welcome development. The management of CAVITEX is proud to be part of the modernization of different aspects of travel in the Philippines. Now, even private vehicle owners and their passengers can feel the benefits of having the beep™ card,” said J. Luigi L. Bautista, CAVITEX President and CEO. All beep™ tap-and-go cards including PayMaya beep™ cards are accepted in all three elevated railways (LRT 1, LRT 2, and MRT 3) and select bus lines. The beep™ card is a tap-and-go payment system accepted in all three elevated railways (LRT 1, LRT 2, and MRT 3) and select bus lines. It can be purchased for P20, is reloadable and valid for four years. More information about beep™ is available at www.beeptopay.com and on Facebook (beep card) and Twitter (@beep_card).